The central theme of Purim is celebration. Mishe nichnas Adar, marbim be’simcha. With the beginning of Adar rejoicing is increased. (Taanit 29a). Purim and Yom Kippur: The Day of Atonement and the holiday of Purim would seem to be the two most unlikely holidays to have anything in common. Yom Kippur is a day of sanctity and solemnity. Purim is a day of unrestrained revelry and irreverence. Yet, both holidays represent times of fateful decision making: Yom Kippur, where an individual’s fate is decided, and Purim, where the fate of an entire nation was decided. They even share the same root: Pur, the Hebrew word for lots. 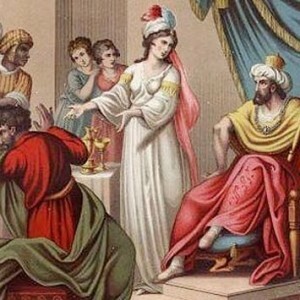 Hester Panim: Curiously, the name of G-d never appears in the book of Esther. G-d’s presence, usually so obvious, seems to be hidden. But, as the Purim story unfolds, it becomes very clear that G-d is very much a part of the story. It is G-d Himself who very carefully manages the events, ensuring the survival of His people. In Hebrew, this is called hester panim, the hidden face of G-d. Purim stresses the message that although human beings appear to be in charge of their destiny, G-d actually pulls the strings from heaven changing the fate of individuals and nations. But if G-d pulls the strings than why didn’t He simply foil Haman’s evil plan? Why was it necessary for the Jews to bear arms and fight for their very survival? It must be that G-d had a purpose for the events to unfold as they did. 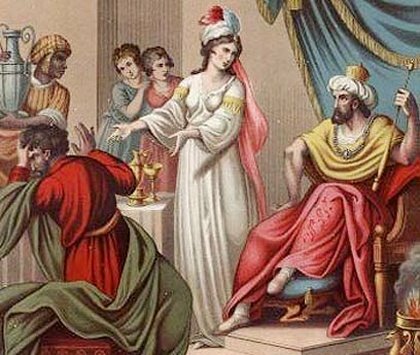 In the story of Purim, the Jews chose to assimilate and embrace a foreign culture at the very time they should have been preparing to return to the Land of Israel. So, we believe, G-d created events to nudge our people back on His desired course. Special Purims: Purim is not the only time Jews were saved from imminent destruction. Since then, unfortunately, Jews all over the world have experienced small Purims. In Hebrew this is called Purim Katan. One famous Purim Katan involved the community of Frankfurt-am-Main, known as the Wintz Purim. In 1614, Jews were driven from the city by an angry mob led by a Wintz Fettmilch. The emperor intervened and Fettmilch was executed. The Jews returned to the city. Another Purim Katan revolves around the Heller family of Prague who, to this day, gather on the first of Adar to remember how Yom Tov Heller, rabbi of Prague, was saved from death in 1629. Each Purim Jews everywhere remember the dangers we face in exile and celebrate the miracle of our very existence.